The Border Collie Pit is a hybrid dog with the Border Collie and the Pit Bull Terrier as parent breeds. The Pit Bull breed parent could be any of three varieties of Pit Bull Terriers, which include the American Pit Bull Terrier, American Staffordshire Bull Terrier, and the Staffordshire Bull Terrier. Their initial purpose was for herding, hunting, and security. Both the Pit Bull and Border Collie parents have the same height, but the Pit Bull weighs more. Both breeds are sturdily built with well-muscled bodies and alert and watchful expressions. The Border Collie Pit is energetic, loyal, intelligent, and alert, much like his parent dogs. 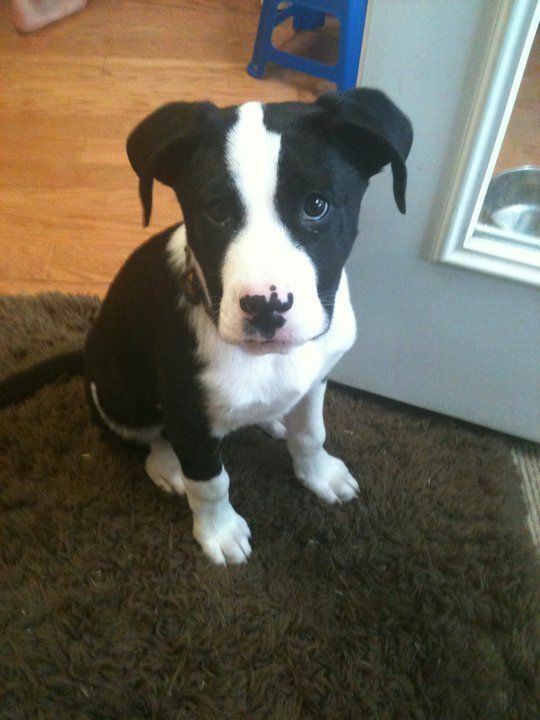 This is a cross between the smartest dog, the Border Collie, and the affectionate and mischievous dog, the Pit Bull. Getting this mix breed is a big responsibility if you don’t keep him occupied because it will keep you busy every single time. This breed is bred for sports like agility and flyball because it is very good at these sports. 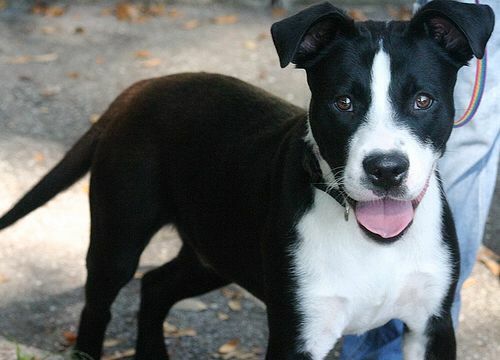 The Border Collie Pit has a bright, loving, and energetic personality. What Price are Border Collie Pit Puppies? The price of Border Collie Pit Puppies is approximately $300 to $800. How to Find Reputable Border Collie Pit Breeders? You can always get leads on reputable breeders by asking your vet, contacting local breed clubs and organizations, or attending dog shows. If you know or see anyone with a great-looking and well-behaved dog, you can also approach them and ask where they get the puppy. Speak with and visit several breeders so you can weed out the reputable ones from the not so reputable ones. Find out where their puppies live. They should be inside the house with the rest of the family. You will know if a puppy is born into family life when the puppy is energetic, friendly, and affectionate. A puppy that is isolated from people in a basement, garage, or backyard is more likely to be aggressive or shy. The puppies should interact with different people very early in their lives so that they will grow up to be happy, safe, and comfortable around people. Reputable breeders should also let you meet the parent dogs. It will give you better insight into the puppy’s future personality. A friendly and well-behaved mother or father dog is a positive sign. Reputable breeders only have just one or two litters a year. This gives them the time to care for the puppies and find them good homes. They should offer health clearances and documentation that the parent and grandparent dogs were tested for hereditary problems. Because some genetic conditions don’t show up until adulthood, health clearances aren’t available for dogs younger than two years old. A good breeder will not breed dogs until they are two or three years old because of this. Reputable breeders should also be happy to give you references. They will refer you to previous customers and other breeders as well. They participate in dog shows and competitions. They are motivated by enthusiasm for the breed and not by making money out of their dogs. They are upfront about the breed’s drawbacks, whether that means a tendency to develop certain health problems or a temperament that’s not for every owner. They ask a lot of questions as well. This is an indication that they want to know exactly what kind of home their puppies are going to. Before buying a puppy, take the time to research and find a responsible breeder. Puppies from good breeders are more likely to grow up to be healthy, temperamentally sound dogs. The Border Collie Pit is also known as Border Pit or Pit Collie. These dogs are known “workaholics”, making them indispensable in their shepherding tasks. The Border Collie Pit hails from the United States and lives as a guardian and family pet today. The Border Collie Pit can be aggressive to strangers and other animals. A Border Collie Pit is more likely to take after its Border Collie Parent. 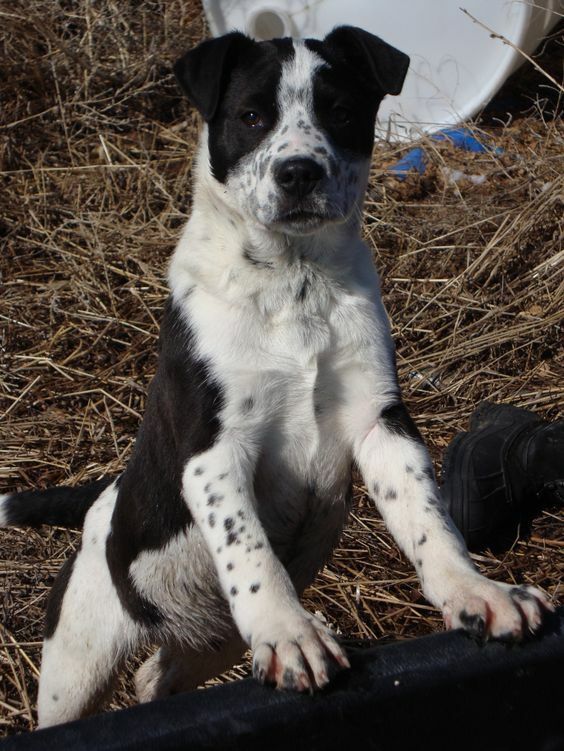 It will have the body of their Pit Bull parent, with spots that look like the Border Collie parent. Most pups are bi-colored with white and black coloration. If you’re lucky, you can even find one with brown colored spots, but they’re quite rare. Border Collie Pits have semi-erect ears, and they can be lean with a stockier build. You can expect their hair to be anywhere between short to medium. This makes them low-maintenance dogs. The Border Collie Pit has a moderate level of maintenance, mostly due to the contribution of the Border Collie breed parent. His coat will probably need to be brushed well at least once a week to reduce shedding and matting. Bathing or shampooing your pet should only be done when necessary. Periodic trimming will be necessary if he inherits the coat from the Border Collie parent. The coat of your Border Collie Pit will also be the shedding type because neither of the parents is hypoallergenic. Keeping him brushed and groomed will avoid problems for those in your household who are asthmatic or have breathing problems. Like other dogs, your Border Collie Pit will need routine and regular teeth cleaning, dental checkups, eye examinations. His ears should also be regularly cleaned to keep them free from infection. How Big is a Full-Grown Border Collie Pit? Border Collie Pits can grow up to 30 to 35 inches and weigh 50 to 62 lbs. What is the Life Expectancy of the Border Collie Pit? The life expectancy of the Border Collie Pit is 12 to 14 years. The Border Collie Pit is a mix of both prey-oriented dogs, so care should be taken at every step. It will try to herd anything that moves. But because of their attentiveness, training could be easier. Its Pit Bull parent is known as loving but aggressive, so it’s advisable to look out for these signs and take steps accordingly. It might not be a good idea to take it to crowded places, or to places where there will be many other dogs. It’s a very smart dog and will not be aggressive if trained properly. It is loyal and loving and can be good with children and other dogs. The Border Collie Pit is bright, responsive, and highly energetic dog. He will keep you on your toes all day. You can expect this dog to be highly protective and loyal to his humans. He will bark more when sensing a threat. Border Collie Pit outsmarts you with his wits. The Border Collie Pit is a very responsive and friendly dog. He will make a wonderful addition to your home and become playmates with your kids, also while being a good watchdog. The Border Collie Pit is the mix of the Border Collie and the Pit Bull Terrier. The Border Collie Pit is a very focused breed, so food might not be his first priority every time. If he’s the only dog in the house, you can try free feeding him. This breed can be on the lean side, but that doesn’t mean it’s not healthy. Bones could be included with its diet. They can satisfy his desire for chewing. How Much Exercise Does a Border Collie Pit Need? The parent breeds of the Border Collie Pit are energetic dogs who were bred for hunting and herding. They love to run, jump, and play. They will need to have long walks or runs several times a day in addition to lots of fetch and frisbee games. They require mental as well as physical challenges so that they don’t become bored. Boredom often leads to destructive tendencies contributed from both breed parents. They are not particularly suited to apartment living because they can be rambunctious with unused energy. Homes with fenced in yards will work just fine in addition to daily exercise. They are not dogs who do well when left alone for long periods of time because they will do anything just to pass the time. They can live in urban or rural homes, as long as they have ample exercise opportunities. They can tolerate warm and cool temperatures. They can live in many different climates, though their coats aren’t suited to frigid climates. As for health problems, there is not a lot to worry about. Most see this as a healthy dog without too much to deal with but some allergies. However, it’s worth checking the health and lineage of the litter in case of hereditary issues. Some Border Collie Pits can be affected with CHD and eye problems. He has a good nature if given the time and socialization training needed from an early age. The potential downside with the Border Collie Pit comes in his energy levels. Aggression to strangers and other animals shouldn’t be an issue with the right training and the right lineage. He is fun to play with, and you really have to work hard to give him all the physical exercise and mental stimulation that he needs.